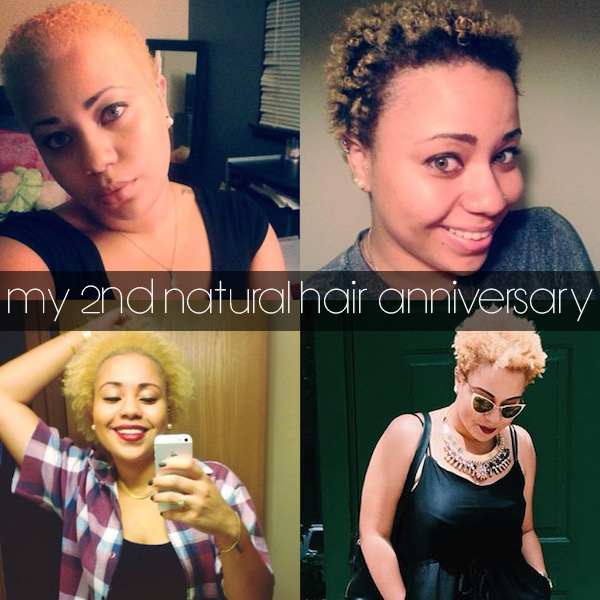 Today marks 2 years since I big chopped and starting wearing my hair naturally! I can’t believe how fast the time has gone by, but it was truly one of the best decisions that I ever could have made. After having relaxed hair for so many years, it’s been such an interesting journey getting to know my true hair texture..
Be Patient: Managing natural hair takes patience, especially when the experience is brand new to you. I promise that the process will feel more effortless over time. Don’t be offended by people’s surprisingly high interest: I’ve had strangers come up behind me and grab a handful of my curls without any notice. Though you’ll probably want to go off on a lot of people who will stare, ask weird questions and even try to touch your hair without asking…just think of how special your crown must be to spark the interest of that many people. Keep it fun: As a black girl, I've always loved the versatility of our natural hair. Each texture is different and it comes along with a bunch of different styles that we can experiment with. Keep this journey fun! If you’re starting to get bored, switch it up, go on Youtube and learn a new style. I was so nervous about cutting my hair again recently, after growing it out for almost two years. Yet, I’m absolutely in love with the style that I have now and I know at the end of the day- hair grows back! I’ll admit at the beginning, I had days where I just wanted to quit and run back to the creamy crack… but I’m so glad that my curls and I have made it this far! I've had more hairstyles than I can count on two hands throughout the years and this is the longest hair relationship I've had to date. I love only having to coil my hair once a week and barely having to do anything to it when I wake up in the morning. I love being stopped and asked nice questions by people who are so intrigued by my hair. I love it all. Shout out to all my fellow naturalistas out there who are also still going strong!